The congressional deficit-reduction supercommittee must agree before Thanksgiving to slice more than $1 trillion from projected deficits, or that money will be cut automatically from future budgets. The fundamental divide between the panel's six Democrats and six Republicans has been over whether tax revenues should come into play. And with less than a week to go before the deadline, some Republicans are considering new tax revenue. But even the hint of compromise on that issue is dividing Republicans on Capitol Hill. Supercommittee co-chairman Jeb Hensarling, a conservative Texas Republican representative, has long opposed new taxes. Yet he is endorsing the revenue-raising bid made last week by GOP supercommittee member Sen. Pat Toomey of Pennsylvania. Toomey's plan would include about $890 billion in spending cuts and raise about $250 billion in revenue by cutting some tax deductions. His plan also calls for lowering the top tax rate for individuals from 35 percent to 28 percent. Many Democrats dismiss the offer, saying it's mainly about lowering tax rates for corporations and the wealthy. But Senate Budget Committee Chairman Kent Conrad, a Democrat from North Dakota, says he is encouraged that Republicans are finally talking about doing something besides simply cutting spending. "They've crossed the line on saying in some way you need additional revenue," Conrad says. "But when you go to the details of what they've proposed, there's no new revenue." Some of the top Republicans in Congress have rallied behind Toomey's offer. One of them is House Speaker John Boehner of Ohio, who showed a willingness himself during the debt-ceiling debate to boost tax revenues. "The offer that the Republicans put on the table is a fair offer," says Boehner. However, Grover Norquist, who heads the anti-tax advocacy group Americans for Tax Reform, dismisses Toomey's proposal as a mythical "unicorn." "It does not exist in the real world," Norquist says. "Comments on how pretty the unicorn is are people playing with their imaginations." Still, for Tennessee's Lamar Alexander, the Senate's No. 3 Republican, Toomey's tax proposal is potentially a game changer as the supercommittee's deadline looms. "Republicans have put revenues on the table," Alexander says. "Anyone who knows and understands the Republican Party knows that the proposal that was made last week by the Republican members of the supercommittee represents a substantial departure from what we'd normally be comfortable voting for." Sen. Lindsey Graham, R-S.C., calls the fact that Republicans are talking about new tax revenue in any form "a change in the political dynamic." Like virtually every other Republican on Capitol Hill, Graham once signed a pledge with Norquist's anti-tax group not to raise taxes. And like a growing number of his GOP colleagues, Graham says he no longer feels bound by that pledge. "I think it's OK to use deduction, exemption revenue to pay down debt as well as to lower rates," Graham says. "I think that's in our national interest." For Norquist, Graham's compromise on taxes amounts to betrayal. 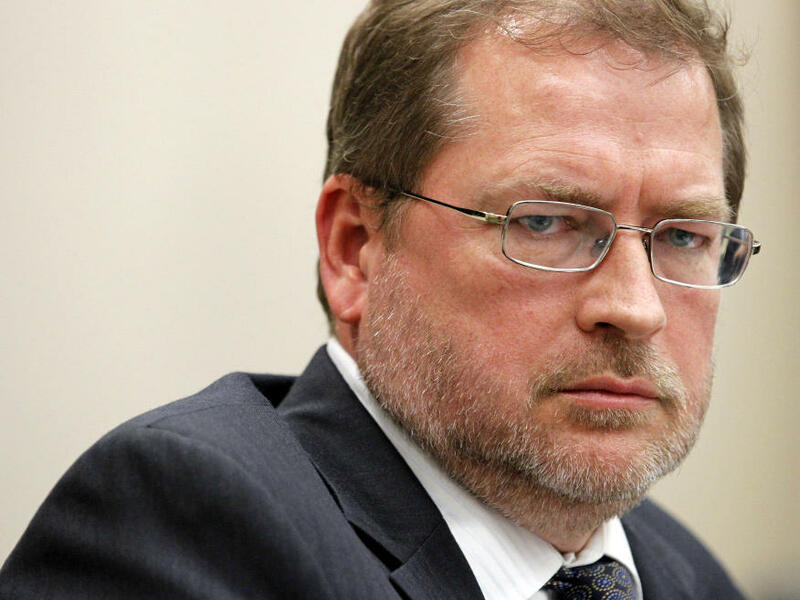 "His commitment was not to me, it was to the people of South Carolina," Norquist says. "And if he wants to go to the people of South Carolina and say, 'I lied my way into office, thought I'd let you know', he can do so." The move by some supercommittee Republicans to raise new tax revenues has caused alarm among some fellow Republicans with ties to the Tea Party, including South Carolina Sen. Jim DeMint. "I'm very concerned," DeMint says. "I think we're being drawn into this quagmire here of accepting the idea that the problems we're having with debt have something to do with not taking enough taxes from people." Rep. Steve King, R-Iowa, doubts he would vote for any debt reduction deal that included new revenues. "It's unlikely that I would do that, because I'm like the majority of Republicans in here," King says. "I don't believe that we should be raising taxes; I think spending is our problem." Claremont McKenna College political scientist Jack Pitney says while some Republicans want a supercommittee deal badly enough to consider new revenues, others fear the wrath of voters if they back any deal that raises taxes. "Even if Norquist weren't involved in this, you'd still have a lot of people voting in primaries who are very averse to any kind of concession on the revenue front," says Pitney. Elsewhere on Capitol Hill, the deficit reduction panel known as the supercommittee remains deadlocked. Its twelve members must agree on a plan by Wednesday to cut more than a trillion dollars or the money will be cut automatically from future budgets. Here's the fundamental divide between Democrats and Republicans on the supercommittee: How much deficit reduction should come from increased tax revenues? Well, some powerful Republicans are now softening their opposition to boosting revenues. And as NPR's David Welna reports, that's dividing the GOP. DAVID WELNA, BYLINE: Supercommittee co-chairman Jeb Hensarling has long opposed new taxes. And yet, here was the Texas House Republican a couple of days ago on CNBC endorsing the revenue-raising bid that fellow GOP supercommittee member Senator Pat Toomey made last week. REPRESENTATIVE JEB HENSARLING: We put $250 billion of what is known as static revenue on the table, but only if we can bring down rates. WELNA: Democrats dismiss the offer, saying it's mainly about lowering tax rates for wealthy people and corporations. But Senate Budget Committee Chairman Kent Conrad says he is encouraged that Republicans are finally talking about doing something besides simply cutting spending. SENATOR KENT CONRAD: They've crossed the line on saying in some way you need additional revenue. But when you go to the details of what they've proposed, there's no new revenue. WELNA: Some of the top Republicans in Congress have rallied behind Senator Toomey's revenue-raising offer. One of them is House Speaker John Boehner, who showed a willingness himself during the debt ceiling debate to boost tax revenues. Here's Boehner this week. REPRESENTATIVE JOHN BOEHNER: The offer that the Republicans put on the table is a fair offer. Toomey, something like Toomey. GROVER NORQUIST: Toomey's proposal is a unicorn. WELNA: That's Grover Norquist, who heads the anti-tax advocacy group Americans for Tax Reform. Norquist dismisses Toomey's revenue raising proposal as meaningless. NORQUIST: It does not exist in the real world. Comments on how pretty the unicorn is are people playing with their imaginations. WELNA: Still, for Lamar Alexander, the Senate's number three Republican, Toomey's tax proposal is a very real game-changer. SENATOR LAMAR ALEXANDER: Republicans have put revenues on the table. Anyone who knows and understands the Republican Party knows that the proposal that was made last week by the Republican members of the supercommittee represents a substantial departure from what we'd normally be comfortable voting for. SENATOR LINDSEY GRAHAM: That was a big deal. That was a change in the political dynamic. WELNA: That's GOP Senator Lindsey Graham of South Carolina. Like virtually every other Republican on Capitol Hill, Graham once signed a pledge with Grover Norquist's anti-tax group not to raise taxes. And like a growing number of his GOP colleagues, Graham says he no longer feels bound by that pledge. GRAHAM: I think it is OK to use deduction, exemption revenue to pay down debt as well as to lower rates. I think that's in our national interest. WELNA: For Norquist, Graham's apostasy on taxes amounts to betrayal. NORQUIST: His commitment was not to me; it was to the people of South Carolina. And if he wants to go to the people of South Carolina and say I lied my way into office, thought I'd let you know, he can do so. WELNA: The move by supercommittee Republicans to raise new tax revenues has not sat well with fellow party members with ties to the Tea Party, including South Carolina's other senator, Jim DeMint. SENATOR JIM DEMINT: I'm very concerned. I think we're being drawn into this quagmire here of accepting the idea that the problems we're having with debt have something to do with not taking enough taxes from people. WELNA: And House Republican Steve King of Iowa doubts he would vote for any debt reduction deal that included new revenues. REPRESENTATIVE STEVE KING: It's unlikely that I would do that, because, I'm like the majority of Republicans in here, I don't believe that we should be raising taxes. I think spending is our problem. WELNA: Claremont McKenna College political scientist Jack Pitney says while some Republicans want a supercommittee deal badly enough to consider new revenues, others fear the wrath of voters. JACK PITNEY: So even if Norquist weren't involved in this, you'd still have a lot of people voting in primaries who are very averse to any kind of concession on the revenue front. WELNA: And for many in Congress, your number one job is to keep your job. David Welna, NPR News, the Capitol. Transcript provided by NPR, Copyright NPR.